We’ve had our first cool days of autumn…. a wee bit early. It’s so nice when the weather cools down and you feel like you can do more outside. No mosquitoes to bother you, no sweat running down your body. The cooler weather sort of invigorates you and makes you want to get outside! It’s harvest season for many vegetables and fruits, like pumpkins and apples! Have you considered taking the family on an apple picking outing? It’s a fun way to get the family out of the house together, and create some memories. You even get the ‘fruit’ of your labors as you get to take your hand-picked apples home! 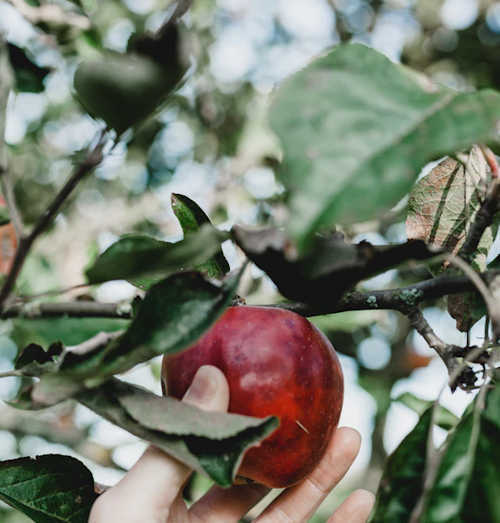 Wondering how to find a local apple orchard? It’s as easy as your search engine. Just search for apple orchard and your town or simply go to pickyourown.org and click on your state. You might even be surprised with fall events and festivals surrounding local apples! There are different kinds of apples of course. 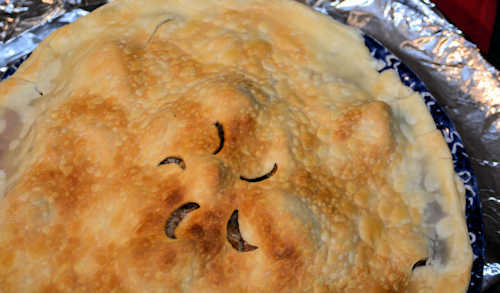 Some are better for just plain eating and some kinds are better for baking (as in pies and cobblers). Some varieties store longer than others. Don’t be afraid to ask questions! Go! Explore the different apple orchards in your area. Make a day trip out of the event. Find a picturesque apple orchard to return year after year and create family traditions. Then bring home those apples for baking and storing. In case you missed it…. this is the Cranberry Apple Pie that we love!